Every day, huge numbers of brand new Forex traders start trading for the first time on the Foreign Exchange market (also called Forex market, or FX for short). More often than not, they were attracted to the Forex market because they believe that trading currencies is an easy way to make fast profits, diving right in without first educating themselves on how it actually works. Even if you think that you know, or have an idea, of how the Forex market works, it’s still important to get the best trading education possible. Even expert traders follow courses. Why? Because the financial markets are constantly evolving, and trading knowledge can always be improved upon. So, do you want to learn how to stack the odds in your favour? We’ve created the Complete Forex Trading Guide for Beginners. Created by industry professionals, this 19-part series provides a framework that will help you learn the basics on how to trade currencies, and make consistently profitable trades. Not only that, you’ll learn how to develop your own trading strategy depending on your experience level, risk aversion, initial capital, trading profile, as well as investment goals. It’s very important to set realistic goals in trading, so you stand a good chance of achieving them. If your goals are not achievable within an acceptable amount of time, you won’t be able to trade with the right mindset. Instead you’ll instead be taking unnecessary risks to hit targets that are out of reach. If you’re not sure about whether or not online Forex trading is right for you, this section will help you decide. You’ll learn why people do currency trading, and who should and shouldn’t trade this market. If you’re not familiar with what Forex is, then this section will answer all of your questions. We’ll provide a short history about Forex trading and explain how it works, with simple examples. You’ll learn about the most popular Forex currency pairs, and the best time of day to trade them. We’ll also explain how you can take advantage of margin and leverage trading and its different products (CFDs, FX Cash, and Spread bets). Most importantly, we’ll explain how to deal with profit or loss in order for you to enhance your potential rewards, while controlling and reducing your potential risk. You’ll also learn about Forex regulations and Forex trader protections. If you’re wondering how to create a profitable and complete trading method as well as how to avoid costly mistakes that are often made by new Forex traders, this section is for you. We’ll explain how to develop a winning Forex strategy to make money more consistently. We delve into using chart patterns like head-and-shoulder, technical indicators like the RSI and Bollinger Bands. We also focus on important psychological price levels like support and resistance levels, as well as risk and money management tools like stop-loss and take-profit orders. You’ll also learn about two of the most well-known ways to analyse the market: fundamental analysis and technical analysis, as well as how to use them in your trading. Explore this guide and learn the basics of the currency market. 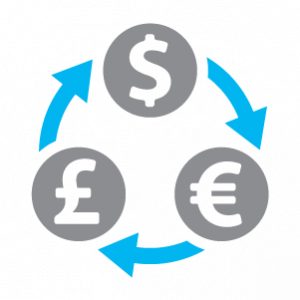 Then, create your trading strategy to decide when and how to buy or sell currency pairs – whether it’s the EUR/USD, the GBP/USD, or any other currency pair that fits your trading method – and don’t forget about risk and money management. Invest in your trading, and become the Forex trader you’ve always dreamed of with My Trading Skills.